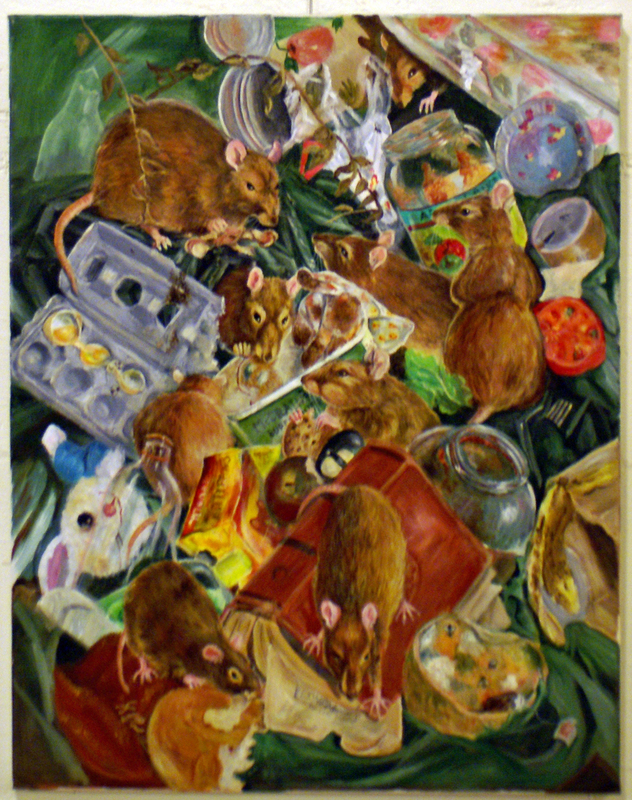 Featured in the gallery this month of August is award-winning artist and illustrator Ellen Killmer of Red Lion, PA. Working in acrylic and watercolors Ellen creates whimsical, lighthearted paintings that call our inner child out to play. There are bunnies in a marching band, a bagpipe playing dog, a cat in the hen yard and fairies everywhere! She’s so talented she can even make rats look like fun. “Alphie’s First Snow” and “Sing a Song of Sixpence, the Baby King” are both award winners taking Best of Show and Director’s Choice awards. Much of her inspiration comes from literature, poetry, and places that she’s visited. “I feel that every animal and person has an inner character that needs to be revealed,” she says. Come out to see her latest works along with a couple of old favorites. Ellen is available for personalized pet portraits and children’s book illustrations. Contact us if interested in custom, commissioned paintings or illustration. Call 717-417-6341 or send email to info@handyconcepts.com.